Technology is always emerging and as it does, there have been some pretty neat advancements in the home that we certainly didn’t have ten or twenty years ago. One of these modern advancements is something that we like to refer to as the mobile peephole. Remember those days when someone knocked on your door and you would peer through that tiny glass hole in the door to see who was there before opening your door? Well, those days are long gone. Most doors these days don’t even have peepholes built into them because so many of the modern and contemporary style doors have glass built into their design, which allows you to make out the person on the other side without having to utilize the peephole. Others simply enjoy their privacy and no longer feel the need for peepholes with the way that technology allows us to be always one step ahead. Who’s knocking on your door? Oh, well your smart phone just let you know it’s the Amazon guy. Friends text or call when they come over, and it’s rare that you have someone knocking on your door when you don’t already expect it. But what about those times when you really don’t expect it, or you’re not at home to see who is knocking or hanging out on your front porch when you’re away? Well, thanks to modern technology, we have even have a solution to this now, and we’d like to share it with you. Yes, you guessed it – the solution to all your home security needs is called Ring. It is a door bell and camera all at once. Connected to your smart phone technology, every times someone rings your doorbell, you will be alerted. The signal will transfer to your smart phone and you will be able to see exactly who is standing at your front porch, no matter how far away you are. The signal transmits in real time so that you can see the action as it happens and take any appropriate action accordingly. You can even purchase a chime as an extension of the doorbell so that it sounds around the house, even when you don’t have your phone in your pocket. The Ring device also features motion detection so that it is certain to capture any movement around your home. Whether it’s a cat or an unwanted visitor, the Ring Video Doorbell picks up the motion through its camera and sends the video capture straight to your phone so that you can play it back instantly. The Ring Video Doorbell is the ultimate solution to home security and it’s a pretty nifty little gadget to have around. The program works through applications available through both the Apple App Store and the Google Play Store. There is also a computer download available for any Windows 10 computer or tablet, giving you an array of different options through which you can use the security device. Emerging technology has a lot to offer, and we thought this was one worth sharing. Your home is worth protecting, not to mention your loved ones, and this is a great product to have if you’re in the market for home security. Do you have any other favorite home or kitchen tech products that you couldn’t live without? Leave your suggestions in the comments below! We’d love to hear from you, and if we think your tech product is worth sharing, we might feature it on the Range Hoods Inc blog! This entry was posted in Home Improvement, Kitchen Tech and tagged Doorbell, home, Home Security, Home Technology, kitchen, Security Cameras on April 15, 2016 by Mila Hose. Slow cooker recipes are some of the most popular because they’re convenient. You can leave the crock pot running and come home to a dinner that’s ready to eat! These are set it and forget it recipes that cook delicious sauces into your favorite cuts of meat. Last week, we went over Light Recipes for Post Easter Feasting. This week we’re looking at some protein filled meals made in your trusted crock pot. Crock pot meals are great for creating on a Sunday afternoon, because you can pack the leftovers into lunch sized portions for the rest of the week. Or, start a crock pot meal in the morning and enjoy it when you get home from your busy day. Crock pot meals also deliver large portions, which is perfect for a family or someone who doesn’t like to cook every day. This delicious looking sandwich comes from Shugary Sweets, written by Aimee. This recipe includes five pounds of beef rump roast, grill seasoning, garlic, onion powder, minced onion, beef stock, beef bouillon, garlic, pepper and 12 ounces of dark beer. Throw these ingredients in the crock pot for eight hours. When done, slice or shred the meat and strain the au jus. 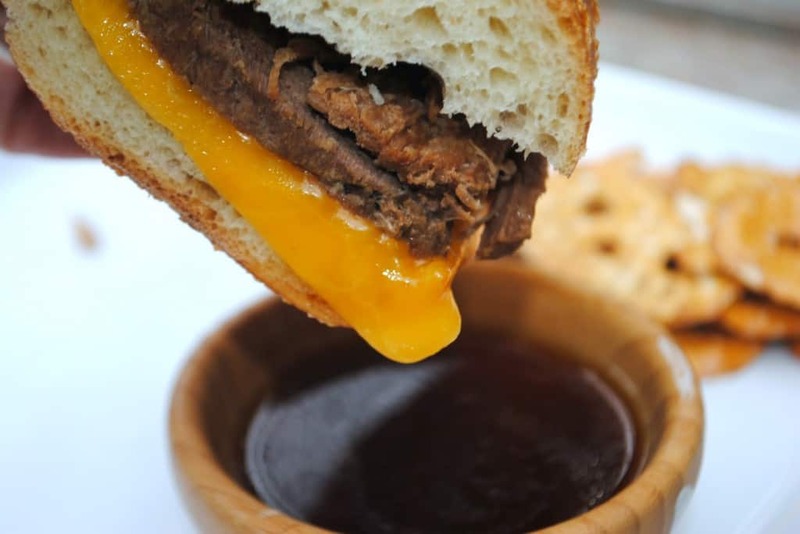 Enjoy on French bread with your favorite cheese. This fun and creative recipe comes from CincyShopper.com, written by Jen. This is a great food blog for those looking for affordable recipes. For this recipe, you will need to cook three to four pounds of pork loin roast, barbeque sauce, pork rub, and of course, Dr. Pepper for ten to 12 hours. Sodas and beer add an interesting flavor to meat. 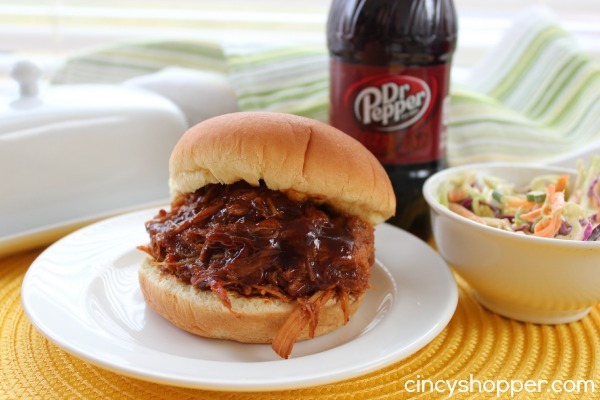 Try this recipe while drinking a bottle of cold Dr. Pepper. You can add a side of fries, vegetables, coleslaw, or whatever you’re in the mood for. This amazing looking chicken recipe is from Gimme Some Oven, created by Bet, Liz, Sarah and Ali. This chicken is cooked for four to five hours in a homemade teriyaki sauce. 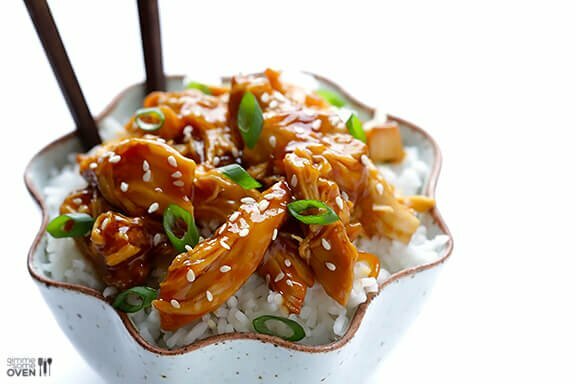 The ingredients include rice wine vinegar, soy sauce, honey, onion, ginger, garlic, pepper, water, cornstarch and boneless chicken breasts. When the chicken is done, remove the sauce and add corn starch. You can then pour it back on the chicken. Gimme Some Oven has some great recommendations for creating sliders with red cabbage and green onion. 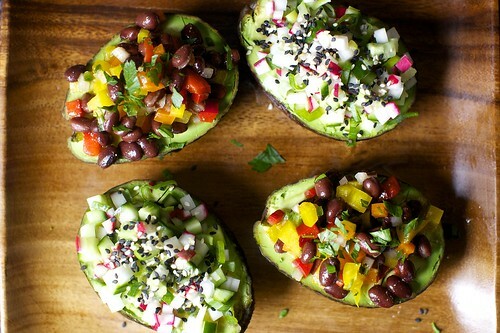 You can also make sandwiches or eat it on rice or quinoa. Crock pots are great tools to have in the kitchen. You can use them for endless ideas, including desserts. Try using it to roast a whole chicken or to create vegetarian soups. Have fun! This entry was posted in Recipes and tagged Cook, crock pot, home, kitchen, Meat, Pot roast, range hood, range hoods, rangehoodsinc, recipes, Slow cooker, Teriyaki on May 1, 2014 by editor. Homeowners are always looking for another line of defense against the worst case scenario. Preparation is key; good preparation could determine the difference between a bad incident and a serious tragedy. We’re always on the lookout for natural disasters, such as flooding, earthquakes and tornados, but we also have to watch out for disasters caused by humans and residents. A home fire, which most often starts in the kitchen, can cause severe damages. However, with preparation, there are some lines of defense you can prepare to save yourself and your belongings. Range hood fire extinguishers are a first line of defense against a stovetop fire. These devices look like small cans, which contain fire retardant material, and are attached to kitchen range hoods with magnets. They are also known as range hood fire suppressors. These little guys have two goals: to stop the fire from spreading to the rest of the house and to reduce damage caused by a kitchen fire. Most fires in the kitchen start when someone is cooking, so these devices attached to range hoods are a good line of defense. If a fire does occur and the range hood fire extinguishers go off, turn off your stove, wait for everything to cool down and wipe the surface with a wet cloth. Range hood fire extinguishers contain fire fighting material like a regular fire extinguisher, but they are located inside kitchen range hoods and they go off by themselves when they’re needed. They open when the heat from the flame is sensed. They can help put out a fire that otherwise would have gone unnoticed and spread to the rest of the home. However, if your range hood fire extinguishers go off, be sure to also turn off the stove, or another fire could start. Also, these devices do have the potential to make a grease fire worse. If you do a lot of deep frying, this may not be a good option for you. They may be a good choice for people who would not be able to stop a fire on their own or for landlords whose tenants may cause a fire. The fire suppressors attached to range hoods are usually good for up to five years, at which point they should be replaced. Different brands have different price points, but a range hood fire extinguisher will always be cheaper than the cost of repairs after a home fire. Look for range hoods and range hood fire extinguishers that are UL listed. Range hoods are crucial for providing kitchen ventilation. Without a range hood, your kitchen fills with smoke, grease, and pesky smells. Furthermore, enclosed cooking produces carbon monoxide and nitrogen dioxide, which in large doses are detrimental to health and respiratory wellness. You can browse wall mount range hoods, under cabinet range hoods, island range hoods, professional range hoods, insert liner range hoods and more on RangeHoodsInc.com. You can also browse articles on our blog to find out more about purchasing and installing kitchen range hoods. This entry was posted in Kitchen Safety, Range Hoods and tagged fire, home, island range hoods, kitchen, professional range hoods, range hood, range hoods, under cabinet range hoods, wall mount range hoods on April 1, 2014 by editor.